Buy Your Own Loose Diamond by Carat, Cut, Color, and Clarity. Contact us for great market prices on diamonds. 1. Choose a Shape, Cut of your diamond. 2. Choose a Carat Weight for your diamond. 3. Choose Your Desired Quality Ranges such as the Color and Clarity of your diamond. Kranich's jewelers will show you beautiful, sparkling loose diamonds to buy individually and have mounted into a stunning diamond ring setting of your choice. Use our handy "Diamond Inventory Search Guide" at the bottom of this page to find your perfect diamond. The search directions are above the slider dialog at the bottom of this page. Choose the shape of the Diamond Cut, the weight of your Diamond is Carat Size, Select your preferred Diamond Color and the Clarity you want in your Diamond and have it set in the mounting of your choice. ENTER THE SEARCH CRITERIA OF YOUR DIAMOND CHOICE BELOW AND SEE THE RESULTS OF LOOSE DIAMONDS IN OUR INVENTORY. Gem quality diamonds are crafted following the original crystal shape they possess. Gem Quality Diamonds are a combination of brightness, sparkle, fire, and of purity not matched by other gems. Find My Favorite Loose Diamond for My Diamond Ring Setting: just explore our loose diamond inventory by selecting your 4C options below. Use the Diamond Search Dialog Below and Make Your Loose Diamond Stone Selection. Set the Carat Weight, Color, Clarity and Cut values. When you are ready for a quote on your chosen diamonds, click on "Details" link to the far right of the chosen diamond. Then click the "Info" Bubble Button at the top of the next page to reveal the form. Complete the Online Form and "Send Request" to receive your custom loose diamond quote. We will get right on it to provide a competitive quote for the special loose diamond you have chosen. Diamonds are renowned for their ability to transmit light and sparkle very intensely. We often think of a diamond’s cut as shape: round, princess, cushion, heart, oval, marquise, pear, emerald, radiant, but a diamond’s cut grade is really about how well a diamond’s facets interact with light. Precise artistry and workmanship are required for expert diamond cutters to shape a stone so its proportions, symmetry and polish deliver the magnificent return of light only possible in a diamond. Kranichs Jewelers is a Central Pennsylvania loose diamond dealer offering every level of quality, loose individual diamonds for your inspection. Stop in to our State College, Altoona or Johnstown, Kranichs Jewelry Store to inquire or call for an appointment. We would love to show you the value in selecting your own diamond. Make an appointment that works for you and feast your eyes on glistening gem quality loose diamonds today! Our expert jewelers will present quality diamond gemstones based on your preferences for inspection. Visit any of our Kranich's Jewelry Stores in Altoona, Johnstown, or State College, Pennsylvania locations or call one of our Diamond Experts to explore buying loose diamonds. Directions for searching Loose Diamonds by Carat Weight, Cut, Color, and Clarity. AT THE BOTTOM OF THIS PAGE Move the circle sliders to the right or left to select a range in Weight, Color, and Clarity. The Far Right Value is for the Highest Quality Diamonds. At the Bottom of this Page under "Search" choose the diamond shape you desire by clicking on the picture, from the image chart, just above the circle selectors, then set the sliders to the values of your choice. Be sure to click on the shape you want from the picture list above the sliders. Moving the circle sliders to the right or to the left will select a range in Weight, Color, and Clarity of your diamond. Move each slider to the left or to the right. The left and right sliders can be moved independently to determine a range of Weight, Color, or Clarity for your diamond. 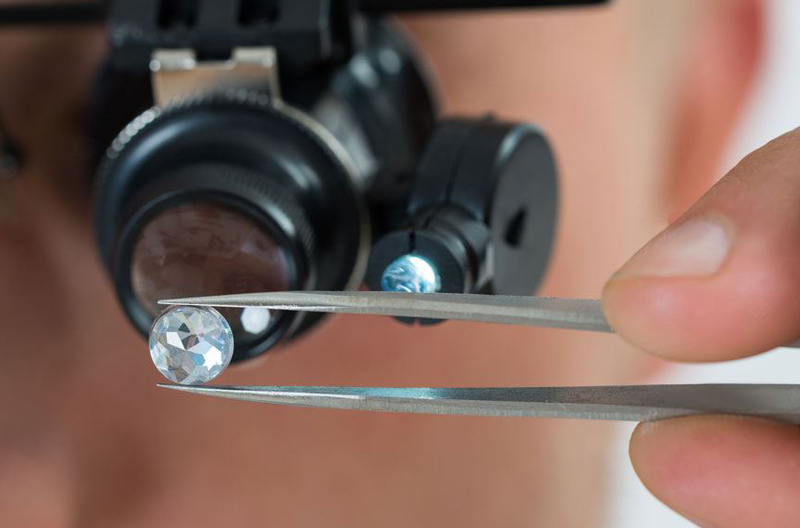 Move each slider to the left or to the right for varied features of the diamond you are searching for. Left will be smaller or more affordable diamonds and far right will be the largest, clearest, highest quality diamonds. You can choose your loose diamond style from the drop-down menu as well. Be sure to click on the diamond shape you want from the diamond pictures displayed above the sliders. The "Weight" list is the size of the diamond; .13 smallest to 30 carats of diamonds. The top of the "Color" list "D" is the whiteness value of the diamond. Ranges of color are displayed through "Z" being more yellow. The top of the "Clarity" list is "FL" the clearest sparkle and as you move down to "13" more flaws are in the diamond. The top of the "Cut" list is the quality of gem-cut for the shape you choose from the image chart at the top. Once the diamond values are set with the sliders, click the "Search" button on the lower right under the sliders. Your "Search Results" will be revealed. Click here to read Directions for searching above.